Well here we all are at the beginning of another year; does the prospect of the exciting adventure ahead in 2013 fill you with enthusiasm, or do you find the start of a new year a little daunting with so many possibilities out there and the choice of which path to take (should you decide to step off your already well worn one) something of a challenge? I usually find the Christmas and New Year period exhausting, both for all the usual reasons, but also because I spend so much mental energy making and breaking resolutions before I’ve even reached the end of the first week of January! So far, though, I’ve kept my promise to myself to hunt down new and interesting websites which showcase beautiful, innovative, unusual or unique items which compliment my own creative endeavours. Whether they be beautiful home wares, original gifts or handmade creations, I thought I’d begin sharing those I particularly like here with you. Sian Boffey set up Aster in 2011 prompted by a search for that ‘perfect’ gift for a friend’s wedding – but that special something that ticked all the right boxes of being original, personal and of fine quality seemed impossible to find. Surely, if there was no one out there offering the right combination of things, then one solution must be to source and stock them herself? Thus, Aster Online was born. The website is extremely easy to navigate and even at first blush, I found several beautiful items which I could quite happily have indulged in purchasing, either for myself and my home or as gifts for others. And at only £23, it’s not too expensive either. Go on, treat yourself or that someone special! Or how about a luxurious bath before bedtime with one of these? 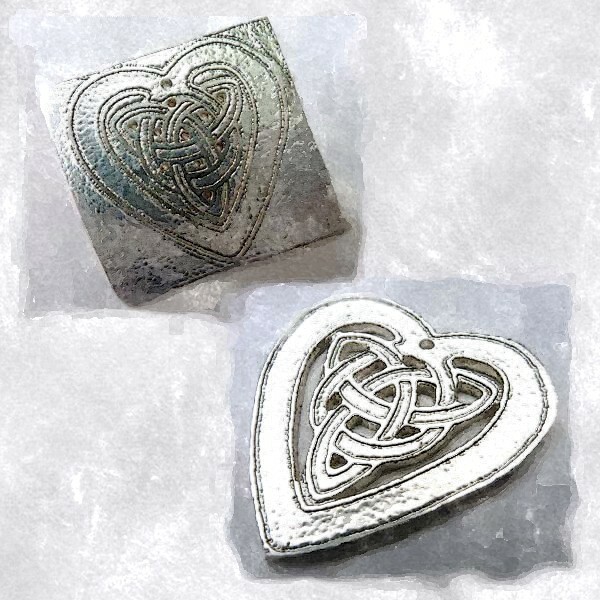 With Valentine’s Day fast approaching, (I know, we’ve all only just recovered from Christmas, but time waits for no man – or woman – so you can’t avoid it) these exquisite heart shaped bath melts would make a wonderful gift, but hurry as they’re currently on sale and I’m sure won’t stay in stock very long. Aster also has gifts for him, for the little ones and some lovely personalised items for home and garden too, so do pay a visit and have a browse soon. As a bonus, all of Aster’s products are sent postage and packing free to the UK mainland and a complimentary gift wrapping service is also available. Indeed, what more could you ask for? I think Sian has thought of every detail to make your experience of browsing, buying and presentation as carefree as possible. Happy shopping and a Happy New Year to all! 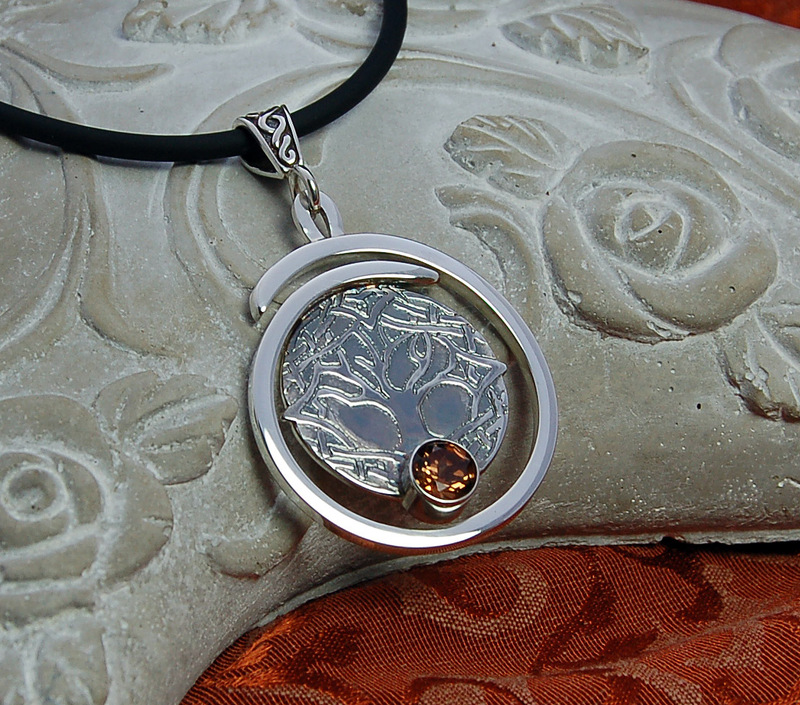 With this piece I have continued the Elemental Collection theme; you may recall my earlier design representing the element of Fire (Salamander, Spirit of Fire) ~ here we move on to the Earth element. I felt this beautiful Celtic knotwork tree image was a perfect representation for elemental earth, and the name ‘Dryad’, being the name commonly associated with a tree spirit, certainly fitted the piece’s theme to perfection. The tree’s roots stretch down far into the earth beneath it and the stunning cinnamon coloured Imperial Topaz gemstone set at the foot of the tree gives the sense of a light and rich soil from which the tree can forever draw its nourishment. 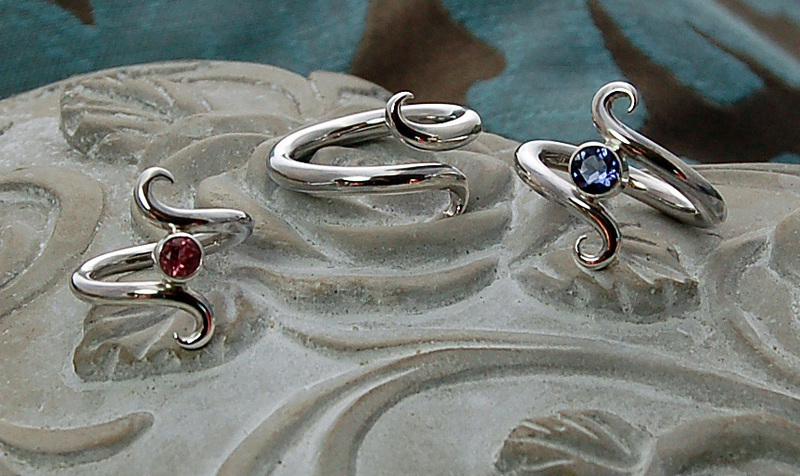 This piece can be seen at my stockist’s in Colchester, Handmade at 6 Sir Issac’s Walk. 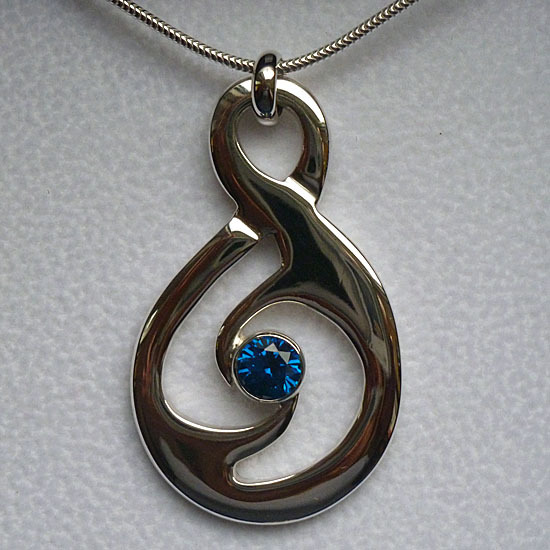 If you’d like a similar piece made just for you, please get in touch – my contact details can be found at the top of the page. 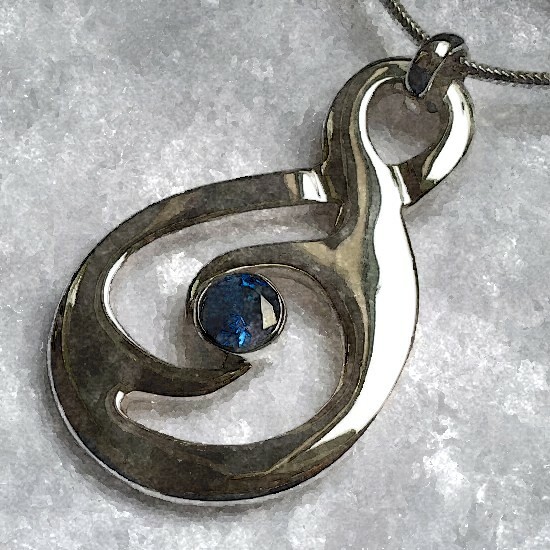 I will be continuing this theme with similarly styled pendants for both Air and Water, so please do keep in touch if you’d like to see the results. This collection is still very much a work in progress. 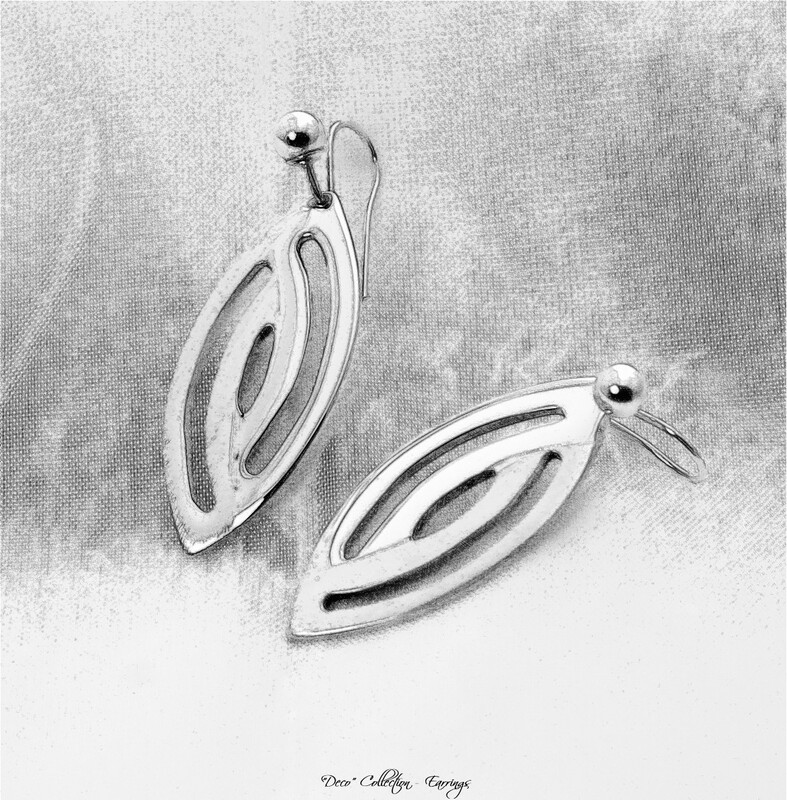 I felt these pieces had an ‘Art Deco’ feel to them, hence the collection’s title. 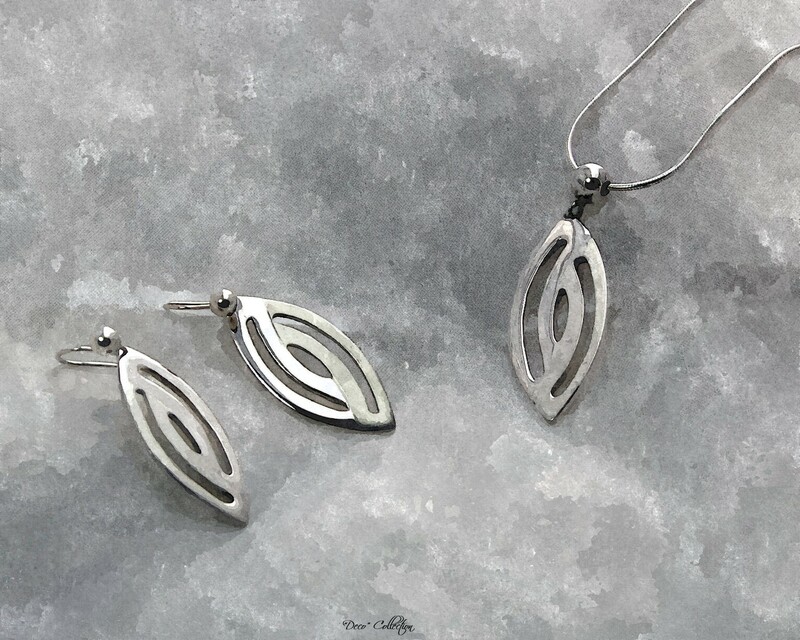 They are hand crafted out of sterling silver sheet; there’s a lot of piercing (sawing) and filing to be done to achieve a professional finish here, so the pieces are rather time consuming to work on, but all the more satisfying for that. I am attempting two finishes on the surface of the silver with these – as there is a three-dimensional effect created by cutting grooves into the sheet, one side will be polished to a mirror finish, the other given a matt satin texture to help emphasise the perception of depth created by the design. 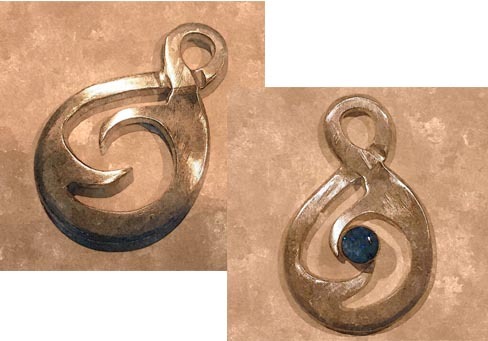 I anticipate making a couple of different sizes and weights in the pendant ~ one to complement the necessarily lighter and smaller feel of the earrings, the other a larger and more substantial piece; it’ll make something of a statement all by itself, though could still be paired with the earrings quite successfully. Progress is slow but steady and I am hoping to have these ready in a week or so. An update will appear here when they’re completed. 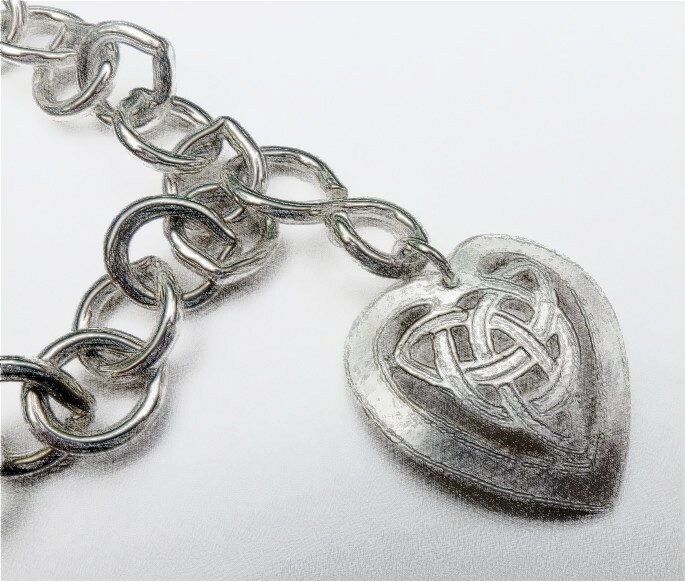 Celtic knot work is perhaps the most widely recognisable art from early times. Despite extensive study, the Celts remain one of the most elusive and unknowable of ancient cultures. This stems largely from the fact that the Celts appear to have relied extensively on an oral tradition for the passing on of knowledge and skills. Though it is without doubt that they were an educated people, written records of their beliefs and traditions are few. 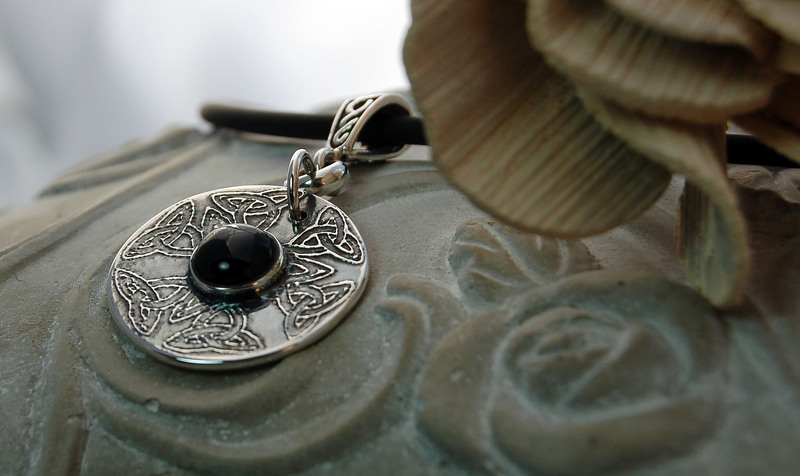 The artistry of the Celtic knot is regularly seen by around 450 AD and, following the Christian influence on Celtic culture, this art form began to be incorporated into early Christian manuscripts, perhaps the most famous and lavish of which is the Irish Book of Kells ~ an illuminated manuscript of the four gospels of the New Testament recorded in Latin in circa. 800 AD. There are a great variety of knots, swirls, plaits and other motifs which make up traditional knot work. Can any meaning be attributed to the various knot designs? 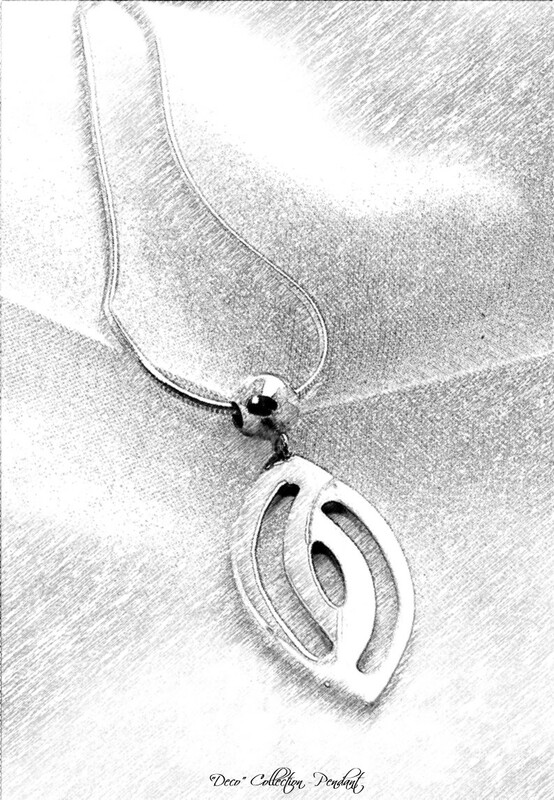 Well, although probably more folklore than absolute truth, the knot is often referred to as the ‘mystic’ or ‘endless’ knot and is associated with endings and beginnings ~ as the knot has no true beginning or end, it represents the infinite cycle of birth and rebirth of the spirit and emphasises the timeless nature of the soul’s journey. 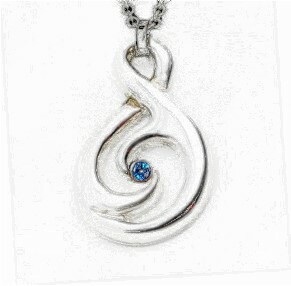 It can also be seen to represent the uninterrupted life cycle of nature and the turning of the wheel of the year through the seasons. 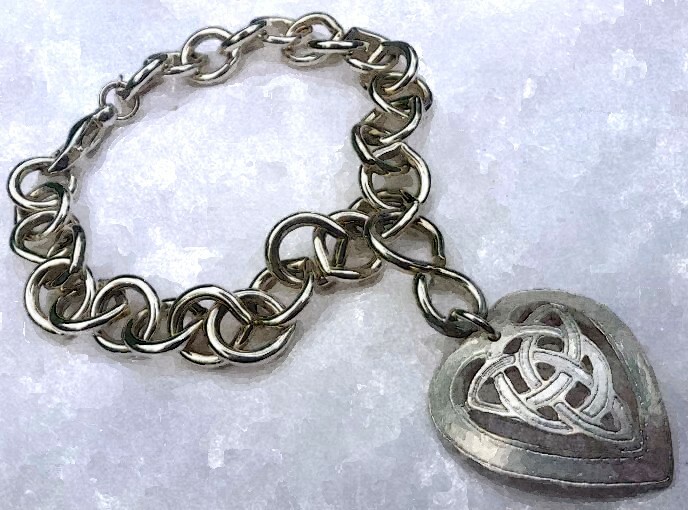 In this way, the Celtic knot has become a symbol or talisman and is often incorporated into items of jewellery, clothing and other ornamentation and given or acquired as a charm against misfortune and ill health. Today, it is often given as a gift with good wishes for health, longevity and good luck with all new projects or endeavours.